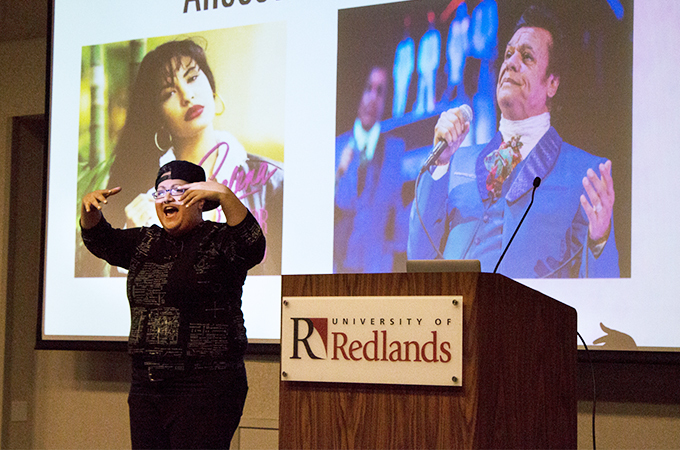 Gabby Rivera, author of Juliet Takes a Breath and the Marvel Comics series America, gave a talk in the Orton Center last Thursday evening. In her talk, “Inspiring Radical Creativity and Empowering Young, Diverse Voices to Tell Their Own Stories,” Gabby imparted her warm, happy demeanor and words of wisdom to a captivated audience. Rivera is a writer, a teacher, and a mentor for national LGBTQ+ youth organizations. Her first book, a young adult novel titled Juliet Takes a Breath, keys on Rivera’s experiences growing up as a queer Puerto Rican in the Bronx. Rivera also highlighted her heritage and discussed her disconnect with her grandparents. Rivera’s parents are bilingual, but Rivera doesn’t speak Spanish, and, therefore, was unable to have the deep, meaningful communication she wanted to have with them. Rivera recalled a day when she got an email that read, “Would you ever want to write for Marvel?” She thought it was a joke. “I thought, ‘Oh man, what kind of virus did I just give my computer?’” she recounted with a laugh. Although she had a hard time believing she was good enough to write for Marvel, she mustered up the courage to accept the job. Her new Marvel Comics series, America, stars America Chavez, Marvel’s first queer, Latina superhero. America Chavez was already part of the Marvel universe, but she didn’t have her own story until Rivera was given the opportunity to write it. “She had a girlfriend when I got her. Broke that up,” Rivera said, receiving laughter from the audience.